If you’re like most of us, you waste a whole lot of energy wondering if you’re a real writer or not. Usually you lean toward the negative. Unless you’re in the blissful state of drafting the first 50 pages of a brand new exciting novel, or you’re actually receiving an acceptance or a good review at this exact moment, you’re probably wallowing in self-doubt. So I don’t know why speakers at conferences—amazing writers I respect and admire—feel the need to tell lecture halls full of us that if we don’t write every single day, we’re not writers. Real writers commit to their craft, they tell us. They put their butts in their chairs and their words on the page. Every day. If you can’t do that, you’re not a real writer. You should find another job. This writing thing is not for you. I’m getting good at turning my ears off when the advice starts to go down that road. Because I’ve never written every day. I’m 34 years old. I have one published novel, two in the drawer, and one in progress. I’ve published two picture books and my agent has eighteen (yes, you read that right) picture book manuscripts out on submission. Two of those eighteen manuscripts have recently found homes. I have one chapbook of poems coming out next year and I’m submitting a second one. I’ve got an MFA and other people pay me to teach them writing and critique their stories. But by that write-every-day standard? I’m not a writer. I know it’s hard to give writing advice, and people are always demanding it, so you just tend to tell people they should do what you do. Some people may well benefit from this so often repeated recipe for creative success. But what works for one person is not necessarily going to work for another, and in my opinion this one-size-fits-all approach is doing more harm than good. It’s making good writers suffer, and sometimes even quit. The fact is, we don’t need another reason to believe we’re not enough. Instead, I think we need to tell writers who are struggling to get the work done that they need a balance of consistency and flexibility in their writing lives. Real writers, in my experience, commit to doing whatever they can realistically do as consistently as possible. If that’s 500 words a day for you, great. But maybe it’s a couple of evening writing sprints per week and then two hours of revision on Sundays. Maybe it’s a poem dictated into your phone every morning on your walk to the train. Maybe it’s a two-week writing retreat every summer and winter break. There is no recipe for success. You just have to try some things and figure out what’s realistic for you. What can you do consistently? Keep the bar low so that you can succeed. Let’s stop shaming writers and instead encourage each other to do whatever works, and when that stops working—because your life circumstances change, or the project suddenly requires something else of you—throw that plan out the window and try something different. Be flexible. When my babies were small, I set aside novels and wrote only picture books. I liked bite-sized stories because I could work on the ideas for them in my head while I was doing dishes, get out a draft during that precious hour or two of childcare, and revise during nap without being too angry about interruptions. Now that my youngest is in preschool, I’m able to dig into larger projects. But I still don’t write every day. I write when I have childcare, which is Tuesdays and Thursdays, and I set up #1kTuesday on Facebook as a support system to make sure I carve out time for my own writing at least one day a week. I meet with my writing group at least once a month, and I try to have something to share with them. And what do you know? The work gets done. Because if you’re a real writer, you’ll find a way to get the work done. It won’t look like everyone else’s way, because you’re not everyone else. You will set the writing aside and go for a walk sometimes. You will come back to it. You will bribe yourself with chocolate. You will give yourself deadlines and surround yourself with people who support you in meeting them. You will write. On your own terms, and at your own pace. Because you’re a real writer and that’s what real writers do. 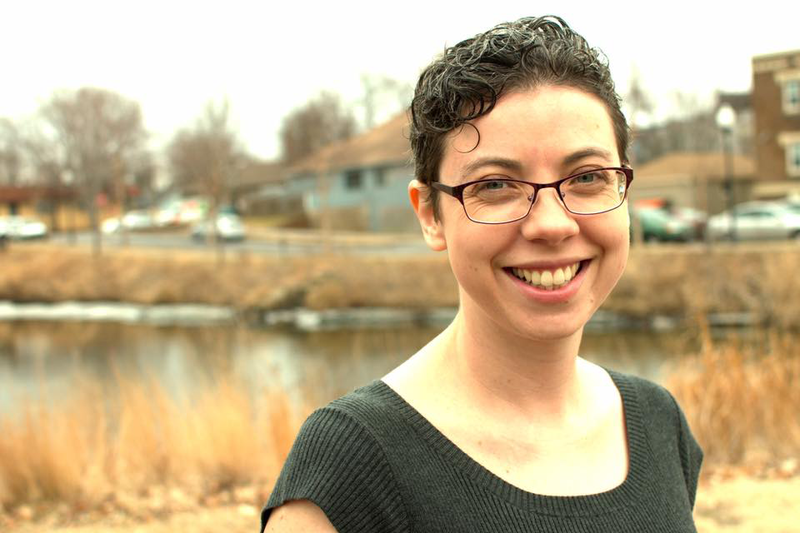 Molly Beth Griffin (MFAC ’09) is the author of the YA novel SILHOUETTE OF A SPARROW (Milkweed Editions 2012) and the picture books LOON BABY (Houghton Mifflin 2011) and RHODA’S ROCK HUNT (Minnesota Historical Society Press 2014). Her first poetry chapbook, UNDER OUR FEET, is forthcoming from Finishing Line Press in 2018. She is a Hamline MFAC grad from 2009 and a teaching artist at The Loft Literary Center, where she critiques manuscripts and hosts a monthly Picture Book Salon. Her writing has been awarded two Minnesota Arts Board Artist Initiative grants and a McKnight Fellowship. She lives in Minneapolis with her partner and their two young children. Find her at www.mollybethgriffin.com or on Facebook, where she facilitates an online writing support group called #1kTuesday.